Four teams from Studio 1 of the Department of Architecture and Sustainable Design (DASD), Lee Kong Chian Faculty of Engineering and Science’s (LKC FES) façade designs were selected as the preferred designs via public voting and by White Noise, a creative design firm at the Column Design Competition held at Commune, Sunway Velocity Mall, Cheras on 28 March 2017. The competition required the students to design an extended façade to the existing six funnelled steel columns located on Level 5 of the mall. 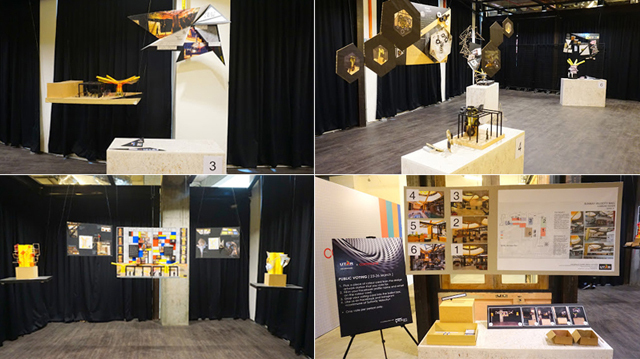 “The winning designs stand a chance to be brought to life and integrated into part of the mall façade at Commune said,” White Noise Creative Director Danny Ho. 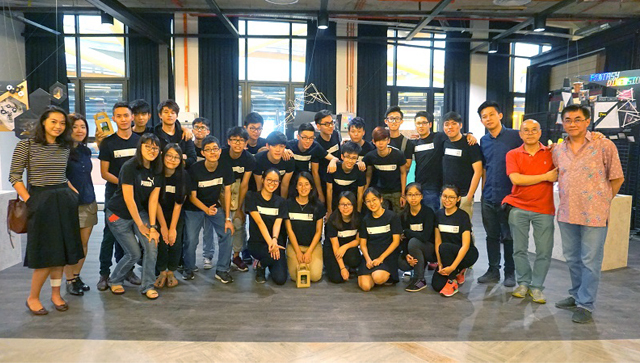 The teams who won the prize by White Noise were, Chan Shi Chein, Chew Jun Liang, Liaw Kang Yi, and Misato Jibiki from Team 1, Fong Jeng Yunn, Kuah Li Wei, Law Jan Shen, and Liang Wei Zhe from Team 2. 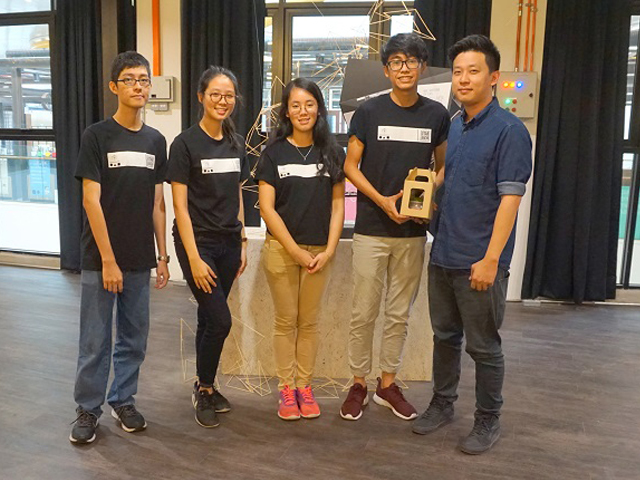 The teams who won via public voting were, Cullie Ng Koh Lee, Eric Tan Yin Jie, Foong Zi Lin, and Heng Chun Keat from Team 3, and Cheah Wan Teng, Fong Man Jie, Mooi Seng Chung, and Yee Reah Lin from Team 5. The teams were awarded three books, namely ‘Little Basket 2017: New Malaysian Writing’, ‘Garis: Antologi Lukis & Teks, Edisi Terhad’, ‘W: Antologi Gambar & Teks, Edisi Terhad’, and a potted plant as their prizes. 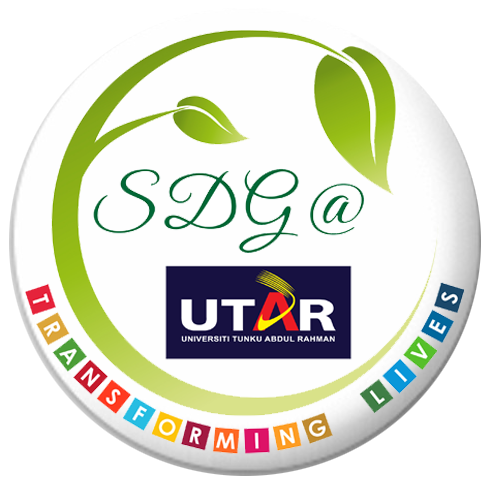 “It was an exciting event drawing encouragement to the students in developing the capability to shape their future and to contribute to the development of our organisations and communities. This is truly a representation of our commitment to lifelong learning,” Danny continued. 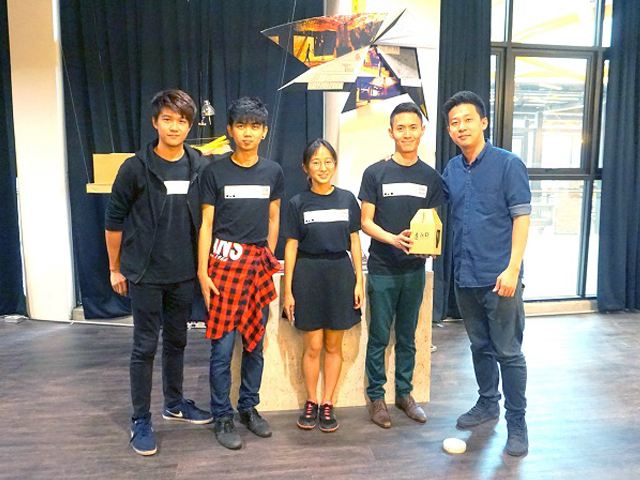 Leong said that the competition provided a good exposure for the students to experience real-life situations in the field of architecture design, especially in learning how to meet clients’ needs and requirements. The competition is also a collaborative effort between Department of Architecture and Sustainable DASD LKC FES and White Noise. 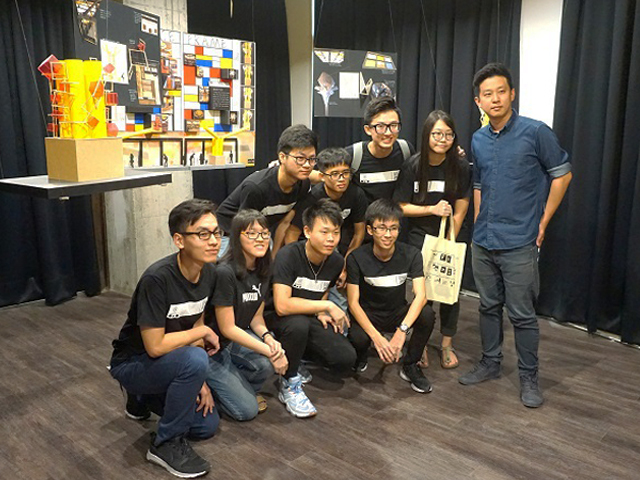 Those who involved were DASD lecturers Leong Hung Sek and Tew Bun Teck, Marketing Director and Project Coordinator of White Noise Yugo Tham and Joy Ho, freelance Art Director Douglas Ho, and Entrepot Director J K Yang.